Born in Paris on July 19, 1834, French artist Edgar Degas was christened Hilaire Germain Edgar Degas. A core member of the French Impressionist movement, he was also a key figure of modern painting in France. Degas was highly influenced by the works of the Old Masters and while he was an Impressionist, he’d rather be known as a Realist. He was particularly known for his series of paintings of ballerinas as well as his portraits. He was likewise an outstanding figure painter. Edgar Degas did not subscribe to plein air painting like his contemporary Impressionist painters. He was more comfortable working in his studio where he experimented with various media and was even drawn to sculpting in bronze. Degas was one of France’s best genre painters but he also excelled in landscapes, still lifes, portraits and history paintings. Edgar Degas was born into a rich family who loved art. His father was a banker who expected him to go into law. 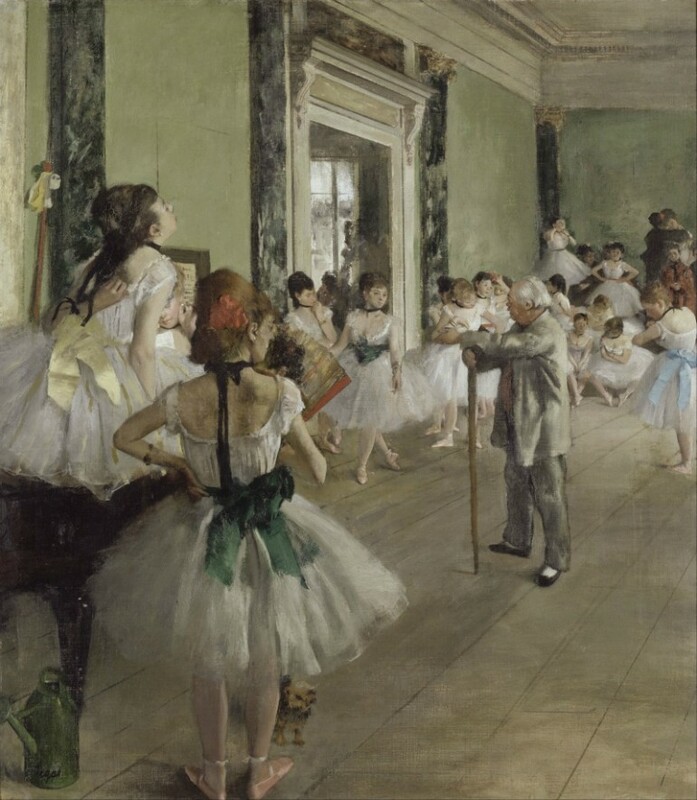 However, Degas was more into art and at age 18 converted one of their rooms into his studio, creating copies of paintings he saw in the Louvre. He entered Ecole des Beaux-Arts after a year of studying law and eventually met Jean Auguste Dominique Ingres. His drawing teacher at the Ecole, Louis Lamothe, put emphasis on draftsmanship and traditional academic art. Degas supplemented his art study with a 3-year stay in Italy copying the works of Renaissance masters Titian, Michelangelo and Raphael. Another painter that greatly influenced him was Adolph Menzel, a realist history painter who was also an Impressionist from Germany. In 1859, after returning to Paris, Degas finished several historical paintings due to the fact that he wanted to be a historical painter like Menzel. However, he changed direction and concentrated on genre painting when he was in his early 30s. Some of his popular history paintings were “War Scene from the Middle Ages,” “Semiramis Building Babylon” and “Young Spartans Exercising.” He was an accomplished painter as exemplified by the preliminary drawings and studies he created, which showed his mastery of graphic lines. That indicated the tips he learned from Ingres. It was during this time that he began to do portraits, mostly of friends and families, using a combination of romantic and classical styles. He opted for simplicity when creating his compositions that still showed the techniques that Ingres taught him. 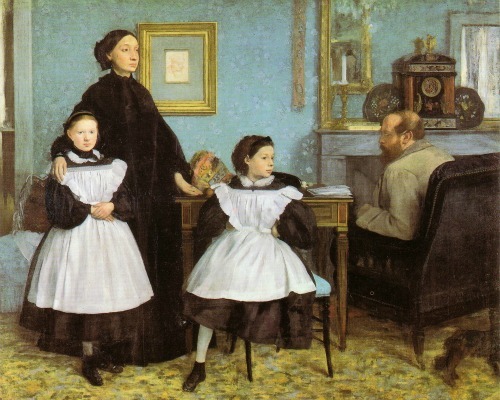 Degas was at the Louvre making a copy of a work of Velasquez when he met Edouard Manet who introduced him to Monet. He became a member of the group of Impressionist painters but was not inclined to paint outdoors. However, he was still influenced by them and he abandoned historical paintings in favor of genre painting, choosing subjects as street and café scenes, ballets and horse racing. He became very interested in opera and in dance, at first creating works in the Symbolist style. Around the early part of the 1870s he came up with a different style in composition, opting for an asymmetrical effect; at the same time, he used hints of the Japanese style that was in fashion then. One example of this is the “Woman with Chrysanthemums” that is at the Metropolitan Museum of Art in New York. Degas was always careful and observant and planned his works flawlessly. As he grew older he shifted to pastel while drawing ballet dancers, basically from memory. When his eyesight started to fail, he turned to sculpture.